This definition of trust will help you understand what it really means to trust someone, and it will also show you how to get to the level of comfort and peace you're looking for. Trust is actually a very big subject, so we're going to look at a picture of a Circle of Trust to start to wrap our minds around it. As you can see, the heart of the matter is spiritual. The reason for that is that everything in the physical world is temporary, and therefore unreliable as a consistent resource for trust. 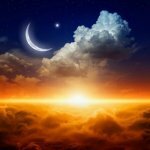 The reason that religion and spirituality have been such a large part of the human experience from the beginning of time is that we need something lasting, something bigger and more steady than anything this material world can offer. 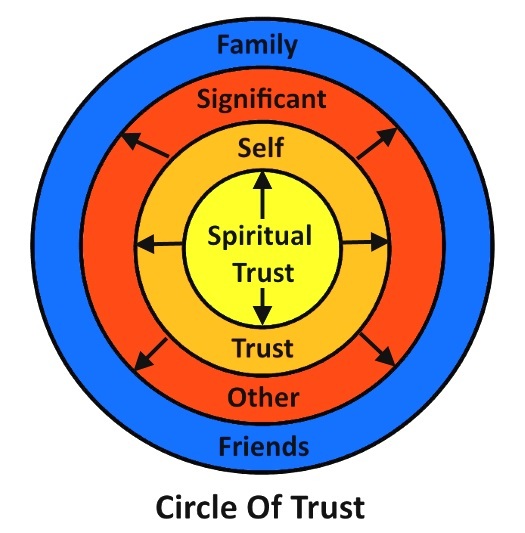 Let's look at each of these levels in the Circle of Trust one at a time. We'll start at the center and work out to the edge, because your spiritual trust and self trust are truly the heart of the matter. I think this will make a lot of sense to you as you consider each of these important steps. Spiritual Trust -- This is where we turn for something lasting, in a world where everything is constantly changing. Your spiritual (and/or religious) beliefs must be resources for peace, love and joy in order for them to foster your trust. Self Trust -- Your decisions, your actions and your reactions in many ways determine the quality of your life experience. When you trust yourself to make good choices and learn from the others, your confidence will grow and it will become easier for you to trust those closest to you. Trust for Your Significant Other -- Trust your partner because it is good for your relationship. Don't wait for them to earn your trust, trust them to be the good person you know they truly are. If they are not trustworthy, you'll know it soon enough. Meanwhile trust them as an act of love. Trust for Your Family and Friends -- Trust them to be exactly who they are, and give them room to figure that out and show you. Withhold your expectations and projections of who and how you think they should be, and trust them to evolve into the wonderful beings they were born to be. If you choose to, it will be beneficial for you to continue expanding your circle of trust in this manner, until you have a sense of trust in humanity and life itself. Now let's dive even deeper into the definition of trust. "Trust is knowing deep inside you that all is well, that you are wise enough to make good decisions and learn from the others while ever expanding your circle of trust to include more good souls like you." Why is trust so important? Why does it matter so much to be able to trust those you love? Can I Be Too Trusting? 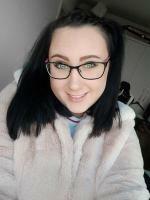 Is it possible to trust too much? Yes, it is. Trusting too much is as risky as trusting too little. 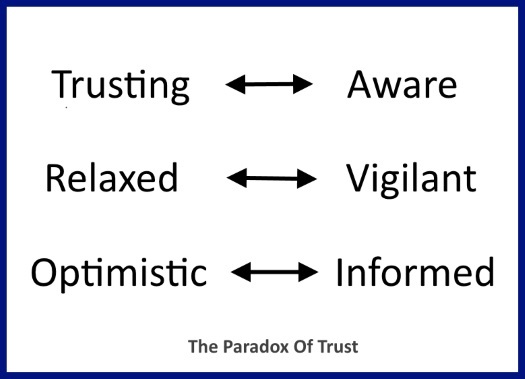 That's why we're focusing on balance in this definition of trust...see the chart below. This helps us to sleep at night, to send our children off to school, and to relax in a world that is ultimately unpredictable and potentially dangerous. As you can see, we're not talking about blind trust here. This approach to the definition of trust is a matter of being smart, healthy and paying attention. I encourage you to keep your eyes and mind wide open, while growing stronger in your sense of trust, confidence and peace every day. Trust, because it adds to your self confidence and sense of personal ease...and remain aware of what is going on in yourself and your relationships. Relax, because it helps your body and brain to work better and maximizes your overall functioning...and remain vigilant by paying attention to what your five senses and your intuition are telling you. Be optimistic because it enhances every aspect of your mind and overall well being...and stay intelligently informed regarding what is going on in mainstream and non-mainstream arenas. Remember, you're connecting with your true, authentic and most powerful self when you are in a state of positive emotion, and a strong, balanced sense of trust will contribute greatly to your positive emotions.